Ravnica Allegiance has only been out for a couple of weeks and it’s already being talked about as one of the all-time great limited formats. For a set that theoretically has only half the possible archetypes available to draft, it certainly feels like the possibilities are endless. I’ve been enjoying drafting dedicated Simic and Rakdos aggro decks as well as grindy and greedy five color gates and everything in between. But there is one deck in particular that has caught my eye and I truly believe that when it comes together, it is the most powerful archetype in the format. If you happen to catch any of my streams or listen to my podcast, I’m sure you’ve guessed by now. I’m talking about Azorius Control starring Dovin’s Acuity. For those of you who have had the chance to draft the Spider Spawning deck from Innistrad, this deck will feel very familiar. The core of that deck was based around getting an infinite loop with a handful of cards. 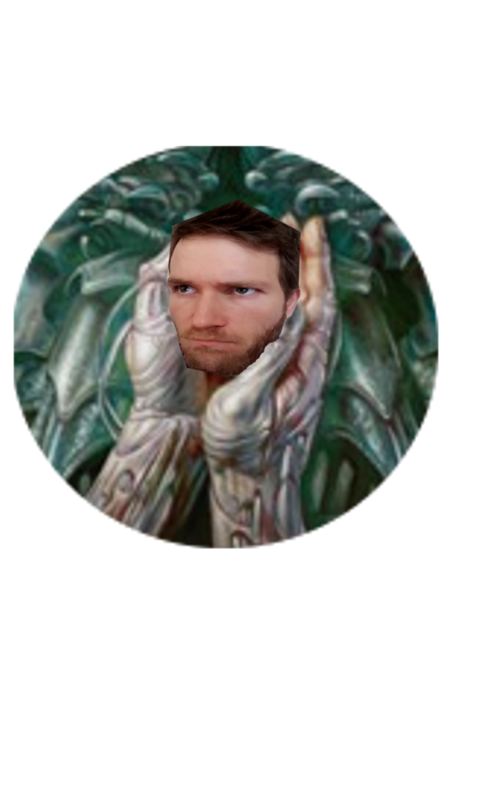 You would churn through your deck with all of the self-mill available to you which would fill your graveyard with creatures. This allowed you to amass 1/2 reach creatures from Spawning and gain a lot of life from Gnaw to the Bone to make sure you didn’t die in the early game. Then Memory’s Journey helped restack your deck and Runic Repetition grabbed your flashback cards from exile. Rinse. Repeat. 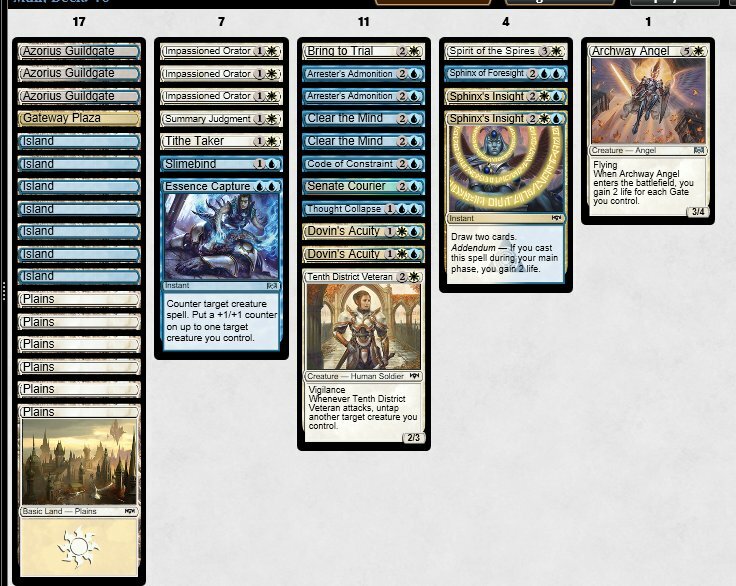 When this deck came together, the only thing you had to worry about losing to was your own MTGO clock. This deck is incredibly similar. Dovin’s Acuity is the lynchpin as a repeatable source of card advantage and life gain. It being a card draw engine allows you to move through your library and the life gain allows you to survive the early onslaught from your opponent. The other key component to this deck is two copies of Clear the Mind. As Dovin's Acuity and friends move you closer and closer to zero cards in your library, Clear the Mind comes to the rescue to shuffle your graveyard back into it. This allows you to not only stack your deck with pure spells, but also ensures that you will never deck yourself. In essence, you are only playing this game to not lose. As long as you don’t lose, your opponent has no way to win. And this deck is one of the most satisfying examples of this strategy. There are lot of different pieces that this deck needs to be optimal. First and foremost, you need instants that you are happy to fire off in your main phase to trigger Dovin’s Acuity. The best of the bunch are Summary Judgment, Arrester’s Admonition, and Sphinx’s Insight. Judgment and Admonition allow you to interact with your opponent’s creatures, the former removing them ideally, and the latter gaining you tempo and extra cards. Sphinx’s Insight gives you a mini version of Acuity with a little boost of lifegain and some more cards. Beyond that, Code of Constraint is another excellent cantrip that helps lock down a creature for a turn, Depose // Deploy is a wonderfully flexible spell, but the hope is to gain some life, make some blocks and get that Acuity back in your hand. I’m hoping for a minimum of 6 ways to trigger Acuity in my deck. That number seems small, but it’s definitely enough. Ideally you will have two copies of the deck’s namesake enchantment, but it’s an uncommon so you may not be that lucky to get both. If not, a copy or two of Shimmer of Possibility is a great addition to your deck to help dig for it to ensure you see it in most games. You’ll want at least one copy of Thought Collapse since you often will need to protect yourself from a key spell or two that your opponent has, or perhaps more importantly as a way to ensure your second Clear the Mind resolves. You will also happily play removal spells if your deck has room for them. Lawmage’s Binding, Slimebind, and Sky Tether are quite useful, but make sure you are saving them for the must-answer threats from your opponent. Last, and certainly least, your deck will need some number of creatures (though much less than you might think.) Senate Guildmage is an obvious standout as it can trade off early if necessary, and can help dig to your key spells, and can also just gain you a ton of life. Impassioned Orator provides a similar role. It’s not ridiculous to see Pteramander as UU for a 5/5 flyer in this deck. Beyond that, you’re looking for excellent blockers that can effectively hold back multiple attackers on their own. Senate Courier, Humongulus, Spirit of the Spires, and even Watchful Giant are the kinds of booties that can hold down the fort while your spells do the rest. Junktroller, another all-star blocker, can double as decking insurance if you don’t manage to get two Clear the Minds. This deck is not always only two colors. Dipping into its neighboring guilds for a Bant or Esper build can open up some great possibilities for you. In Green the biggest addition is Growth Spiral. I find this card to be quite miserable in straight Simic decks in this format. Simic decks are decidedly trying to affect the board on turn two and the additional land that Growth Spiral provides is not the effect I’m looking for. 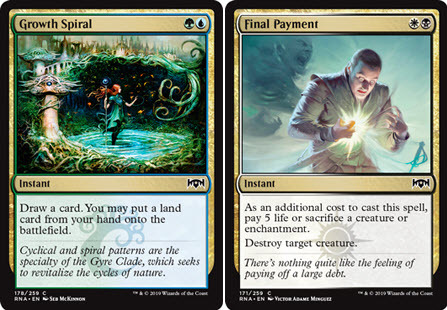 I do, however, believe that Growth Spiral shines in a base Simic Dovin’s Acuity Deck. This deck is incredibly mana hungry and a cheap way to return Acuity while drawing cards and making land drops is just what Dr. Dovin ordered (that’s right, he’s a doctor now.) I’ve also had the chance to play with Wilderness Reclamation in this deck and it's absurd. Remember what I said about about the deck being mana hungry? It turns out that doubling the amount of land you have every turn cycle is quite strong. I was often tapping out with twelve lands in play and then untapping them all, able to protect my board with Thought Collapse, Summary Judgment, and a Sphinx’s Insight to boot. The last great addition that green brings to the party is Mammoth Spider, which is able to hold the ground against Orzhov flyers and big bad 4/4’s alike. When the deck shifts to Esper it’s usually not Orzhov at its base, but rather splashes black for its powerful removal spells. Final Payment becomes even stronger because you’re gaining so much life it’s effectively just Terminate. And Mortify, which has my vote for best uncommon in the set, is a card you can’t wait to shuffle back in with Clear the Mind for a chance at casting it again. This deck is not for the faint of heart in both how to draft it and how to operate it. There are a lot of different and powerful directions that Azorius can go in this format and you can easily get muddled in trying to draft Acuity, High Alert, and an aggressive flyers deck. Once you’ve identified that this deck specifically is indeed open, deciding which picks to make early and which picks you can reliably wheel is an important skill to master. During the gameplay, knowing which spells from your opponent can be ignored and which are the key threats your removal and counterspells must be saved for is just one of the many tasks ahead of you. But believe me it’s worth it. Below is an image of my best version of this deck so far and it is a dragon I will be chasing for the rest of the format. Happy drafting!